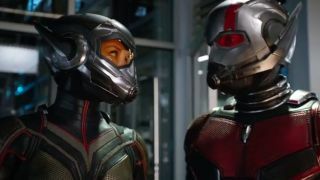 Why is Ant-Man and the Wasp being released a month later in the UK? 28 days later - but what’s to blame? All calmed down from Avengers: Infinity War? Good. Ant-Man and the Wasp is next up except, if you’re on the wrong side of the Atlantic, you’re going to have one hell of a wait on your hands. While the US release for Ant-Man and the Wasp is set at July 6, the UK equivalent is 28 days later on August 3. So, why is it coming so late? No, you haven’t read that incorrectly. Yahoo Movies posits that this summer’s tournament in Russia will leave British (well, English, because every other Home Nation are clearly terrible and didn’t qualify) audiences all tuckered out when it comes time to go to theaters. It's about time the US get dibs, right? Guess how many MCU movies got earlier release dates in the UK compared to the US? Every single one since Iron Man 2. That’s a whole lot of goodwill built up, so it might be time to call in a few favours (or should that be favors?) for American audiences. While releasing a whole month later than the US may be a bit overkill, it all adds up to the big picture as to why the UK get Ant-Man’s sequel a month later. Marvel can’t always have it their own way, as hard as that may seem. Incredibles 2, for example, releases on July 13 in the UK, which would only be a week after the US release date of Ant-Man and the Wasp. Box office fatigue would obviously hit Marvel where it hurts – and they definitely wouldn’t want to go head to head with another Disney movie. This is pure guesswork, but if Marvel are confident enough to put a whole month between release dates and – knowing how every moment will be dissected until the heat death of the universe – then there’s a fair-to-good chance that the movie won’t lead into Avengers 4 maybe as much as we thought. If it’s a standalone movie, then there’s less chance of spoiling the overall dynamic of the universe. Different territories get different dates. Simple as that. Summer movies are often split up to maximise profits and, right back throughout Hollywood history, that’s been done time and time again. It could be worse; Lion King was released four months later in the UK back in 1994. Obviously, that practice isn’t as commonplace anymore – but Ant-Man and the Wasp is showing it’ll never truly go away. The UK might have longer to wait, so why not make use of that extra time by poring over the Avengers: Infinity War ending?